(e) Reason for Liberty 23 June 2009. (f) Freedom First, Mumbai, 1 October 2009. There have also been a number of comments (informal) by various people in the public domain: click here. As well – a number of 5-star reviews at Google Books. Below is a list of eminent people who were sent a FREE copy of the book by the publisher upon their COMMITTING in WRITING to review the book, but who did nothing of that sort! Such is the standard of integrity of some of our great Indians (and one Pakistani)! Dr Ved Pratap Vaidik. 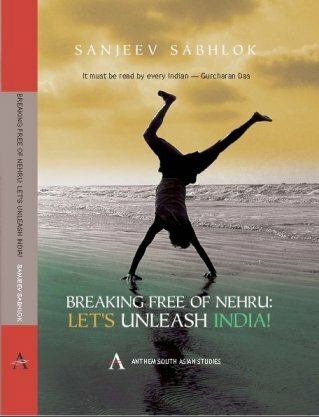 He wrote on 12 March 2008: "I would like to review the book by Shri Sanjivji". Did nothing of that sort after receiving the free copy, and after repeated reminders. Dr Bindu Puri. She wrote on 7 February 2008: "I will certainly review the book for you and get it published in a journal or in the print media." Dr P.V. Indiresan. On 4 February 2008, said "I will try [to review the book]" and gave the address for sending the book. Sharad Joshi. He wrote on 7 February 2008: "I shall be happy to try and review your work." Rasheeda Bhagat. She wrote on 5 February 2008: "I’ll get it reviewed." Sheela Reddy . She wrote on 5 May 2008: "send us the book once it’s out and we’ll be happy to consider it for review". In addition, there is Najma Sadeque. I sent her a copy all the way to Pakistan at considerable personal expense after repeated commitments from her that she would review the book. The book was apparently a best-seller for a while. In January and February 2009, The Statesman reported thus: Jan. 2009 (11, 18 25) and Feb. 2009 (1). The Statesman has not updated book sales since then, so further information is not available. It is gathered from the publisher, though, that the first print run has almost entirely sold out.